We all have used various types and brands of earphones – for music, radio, watching movies or YouTube, etc. It isn’t easy to find an affordable pair of earphones that will cancel out the majority of your surrounding noise. 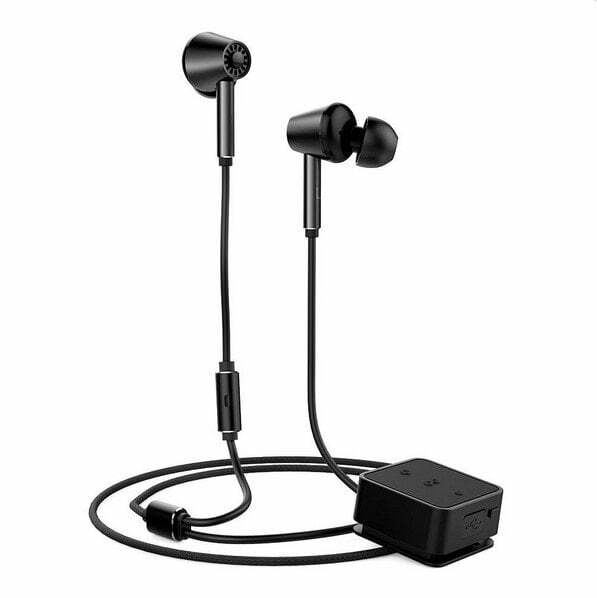 We think that we have found a promising set with the BlitzWolf BW-ANC1 earphones, priced at $49.99 on Banggood. Recently we received the BlitzWolf BW-ANC1 Active Noise Cancelling Bluetooth Earphone AptX HiFi Stereo Headphone. The following is a quick review of the earphones. The black, convenient carrying case is sturdy and fits easily in the palm of your hand. Inside it has a small pocket for carrying the charging cord as well. A super convenient place to keep all the cording from getting strung out all over the place after use. The earbuds are pretty comfortable. I could keep them in my ears for a couple hours without too much discomfort. I have sensitivity to earbuds, as in there are only certain types I can use before my ears start hurting. These were ok, but not fantastic, but that is fairly normal for me because most earbuds don’t fit me well anyway. The sound quality is clear and hasn’t cut out on me yet. The noise-canceling quality of it was a very nice feature. The cords are thin; the thin rubber that is surrounding the cords didn’t seem very sturdy. I always felt like they could tear if I weren’t careful. They could be of better construction I thought. The control box is a little big, maybe a little bulky, but not excessively so. There is a clip attached to the side, which is convenient, keeping the cord out of the way by attaching it to your shirt and also helping reduce the pull on your ears. The buttons on it all worked very well, no glitches were experienced while using them. The Bluetooth connectivity is good. I was able to walk around my little apartment, into other rooms without losing connection or sound quality. The battery life is really good for a Bluetooth device. I used the device, on and off, for 3-4 days without needing to charge it. While on a road trip, I probably used it for at least 4+ hours I would guess. Overall, I would give the BlitzWolf BW-ANC1 a rating of 4 stars out of 5. It is a nice device, the only cons being the construction of the cords and the bulky control box in my opinion. Full disclosure: I received a free BlitzWolf BW-ANC1 in return for an honest review of the product.